Two recent items of research indicate that SMEs are so far managing to navigate the choppy post-Brexit waters more successfully than they may have hoped. The Insurer Zurich’s latest SME Risk Index indicates that perception of business risk among UK SMES increased in the first quarter of this year from the previous three months. The Risk Index - which is based on data from over 1,100 UK SMEs - now sits at 38.81, a 6% increase from 36.72 six months ago. It indicates that there are fears across the board about the UK’S economic and business environment. These fears are showing up across every single economic indicator. Interestingly however, this fear of risk in the economy does not extend to business leaders’ perception of the future of their own business. In fact, perception of this risk has dropped by 15% since last quarter. One major contributory factor is that businesses are factoring Brexit into their plans. 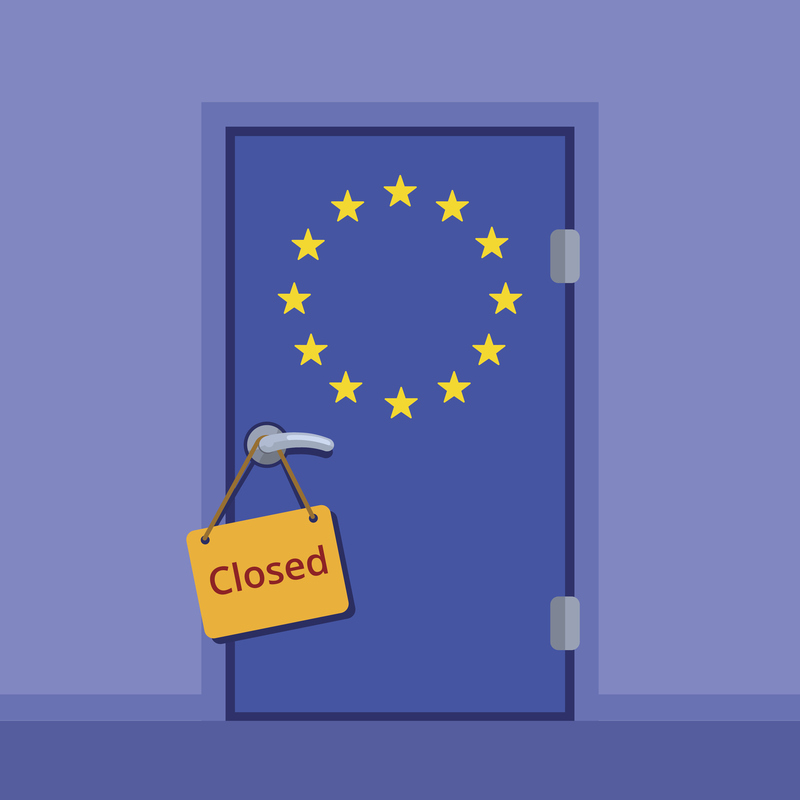 Even though it is still unclear what Brexit will look like, businesses are making provision for potential issues such as currency fluctuation and exchange rates, and concerns about international trade risks, such as sanctions and foreign regulations. They are reining in certain aspects of their businesses - for example, not expanding the workforce - and a significant fewer are considering overseas markets as a business opportunity. The net result of all this preparation is that SMEs are not reporting any additional pressure compared with six months ago, or even this time last year. Interestingly the second piece of research puts some flesh on the above bones. The Bibby Financial Services SME Confidence Tracker surveys over 1,000 of the UK’s small and medium sized businesses on a quarterly basis. It charts the confidence of business owners and senior decision-makers managing businesses in manufacturing, construction, wholesale, transport and services sectors with an average turnover of £1.8 million. 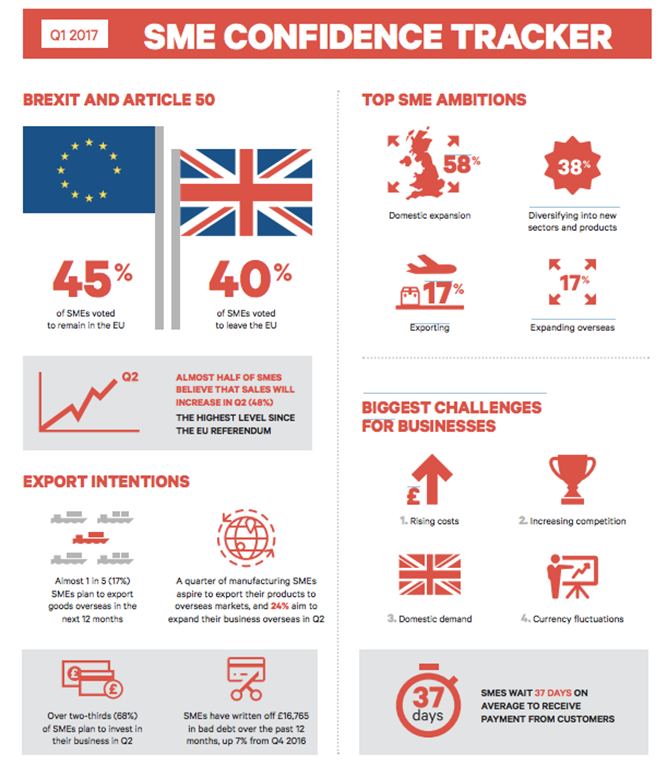 Its latest findings show that 42% of SMEs now think that the UK’s separation from the EU will make no difference to their business. Whilst 34% think it will have a negative impact, 16% predict it will actually have a positive impact and the remaining 8% don’t know what the likely impact of Brexit will be. Interestingly the top two concerns were both down since the last report. Also, despite the concerns, almost half of SMEs (48%) are expecting to see sales growth during this quarter and average planned investment has increased from £49,237 in Q4 2016 to £56,040 in Q1 2017. So despite these unsettled times, it appears that small businesses are not only demonstrating the resilience to survive but are also planning to continue to grow and expand, ready to face whatever the future may hold. The financial services industry must also be ready and willing to support these businesses and the valuable contribution they make to the UK economy. Business loans UK are still available. At Fair Business Loans we have specifically set aside £2m of funding to hundreds of small businesses throughout the UK during the next uncertain 12 months. You can find out more about this here: then why not get in touch with us to see how we can help your business to move forward?